The shallow, crystal clear Lac Bay is the best place in the world to learn to windsurf! 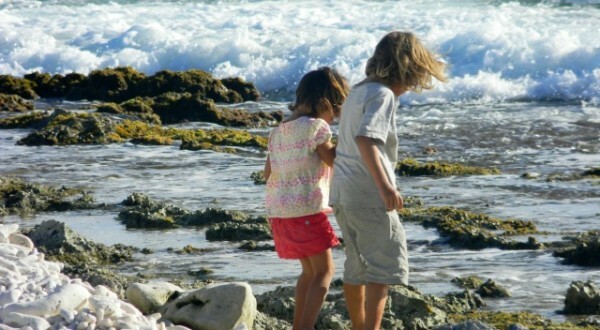 The wind on Bonaire is constant and on-shore. Easy for beginners, paradise for experts! Where else on planet Earth do you have to watch for iguanas and donkeys crossing the road? 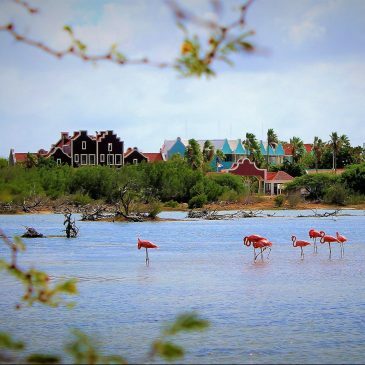 Where else will you see flamingos in the wild on a daily basis? Or green parrots or yellow trupials? 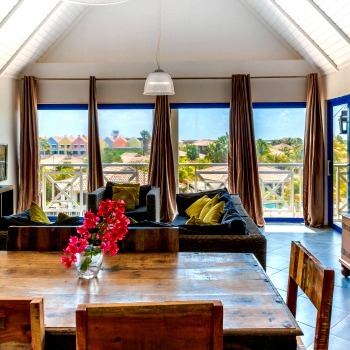 Relaxing, convenient and affordable Bonaire Vacation Rentals! 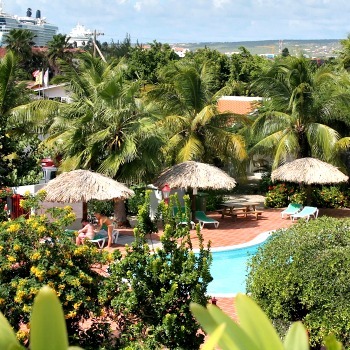 Intimate vacation rentals in the most central yet quiet location on the island of Bonaire; 1, 2 and 3 bedroom apartments starting at $109/night for the entire apartment. 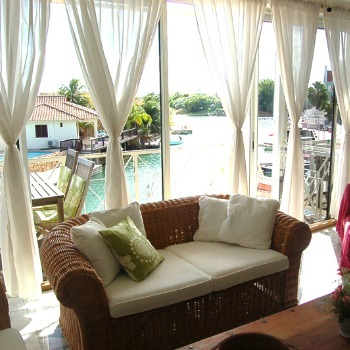 The complete package in your home away from home on unhurried Bonaire: dedicated internet connection; fully screened-in; air conditioning; use of cell phone; high thread count sheets... All at budget prices. Pack light - we even offer a washing machine for clothes in every apartment. 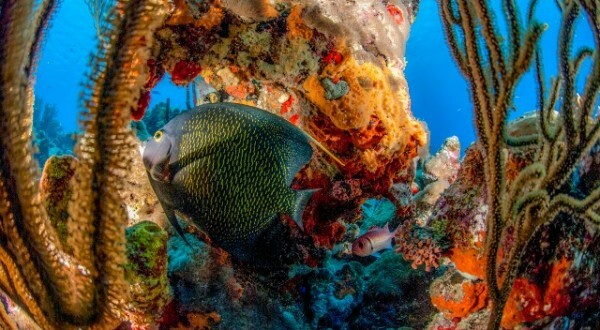 For Scuba divers our boutique on-site dive shop has air/nitrox tanks at a 15% discount and their dive boat leaves from your front door. 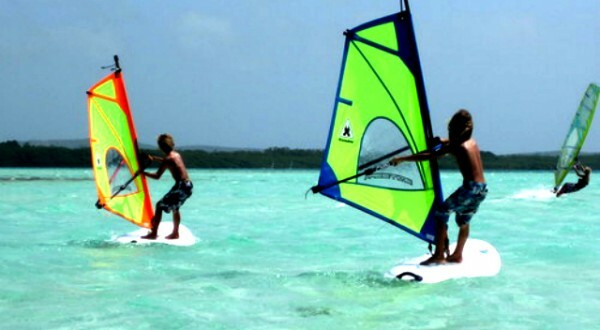 The worlds best windsurfing only a short drive at Sorobon Beach and kiting at Atlantis is within easy reach.